IN THE LONG ANNALS OF FOOTBALL, two Ronaldos stand out. The first – the original to many – was O Fenômeno, the Brazilian striker capable of the most audacious burst of pace at his peak and some of the most clinical finishing the game has ever seen. The other Ronaldo – boasting greater statistics but perhaps a little less love than his predecessor – will inevitably go down as one of the greatest players of all-time. It’s interesting, then, that a third Ronaldo could well have joined that list. Ronaldo de Assis Moreira, better known to you and I as Ronaldinho, would stand tall alongside his illustrious peers as the greatest Ronaldo to have ever played the game. 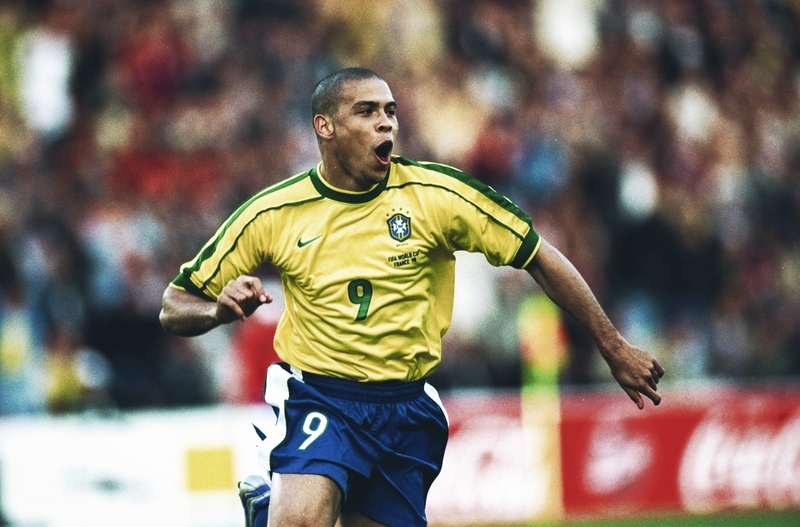 Indeed, if greatness was measured in joy and skill, perhaps this Ronaldo would top the others. Either way, wherever you stand in the debate amongst who of the three is the greatest – and fans of each will fervently back their own – there can be no doubt who was the most outrageous; the most entertaining. It’s for this reason that I chose Ronaldo Moreira to write about and not the other two. There’s a clip of Ronaldinho that will never leave me. In many ways, it summed him up perfectly. Barcelona are in the middle of a LaLiga tie and the referee has stopped play. As the ball sits idly on the pitch, another is thrown into play. 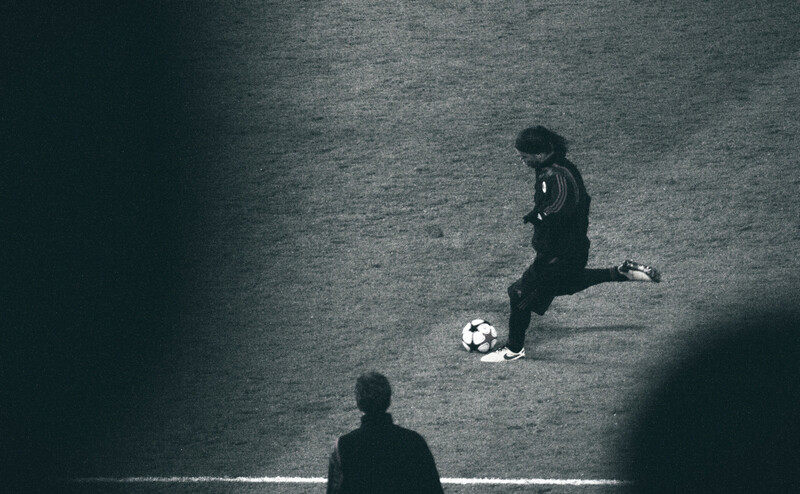 While most players would just kick the ball out of play, Ronaldinho approaches it, smiling as he does. With the ball to his right, he rolls his right boots across it, dragging it towards his left leg. It bounces off his left ankle, springs up and the Brazilian backheels it in the air and off the pitch. The ball boy who catches it must think that moment is exclusively his. The ball boy was wrong; that moment wasn’t for him – it was for all of football. It was for the neutral fan thousands of miles away now smiling because the simple act of kicking the ball off the pitch was done with such flair. Ronaldinho’s story begins in 1980 in the city of Porto Alegre. Situated in the deep south of Brazil, it’s a city that has experienced exponential growth in the 36 years that it’s most revered citizen has lived. Home to some of the most foremost schools of thought in Brazil, it’s famous for bringing the world churrasco and playing host to the World University Games on a number of occasions. During the young Ronaldinho’s first decade, Brazil was rife with corruption, crime and social divides. Under the dying embers of military rule, João Figueiredo, the nation’s President, struggled to appease the discontent masses that were motivated to bring about change in Brazil and herald in a new Republic. It was in this divided Brazil that Ronaldinho’s mother, Dona, a nurse, struggled to make ends meet after her husband, João, was tragically killed following a heart attack in the family swimming pool. Ronaldinho was just eight when his father passed, and it has since provided a lifetime of motivation to support his family. It would be left to Ronaldinho’s brother Roberto, nine years his senior, to help his mother provide for the family. Typical to the Moreira family, he did so in the only way he knew how: through his football. Roberto, a diminutive attacking midfielder in the mould of Juninho, was signed by Grêmio after the club promised to re-house the family in a safer part of Porto Alegre. The youngster was impressing in the Grêmio academy, widely regarded amongst the coaches as one of the brightest prospects in the youth set-up. Injuries, however, would eventually curtail what promised to be a lengthy career at the top. While Roberto’s career would take him from Switzerland and Portugal to France and Mexico, his greatest legacy would be to sow the seeds of love in Ronaldinho’s mind. It was through watching his brother – both his mentor and early coach – that Ronaldinho decided he wanted to be an entertainer. He would see his brother manipulate a ball like few others, keeping it up with all parts of his body and moving it with such pace and precision that he simply had to follow suit. With his first pair of boots laced up, Ronaldinho would spend hours outside the family villa keeping the ball in the air. He would play with local kids in the street, always unafraid to beat his marker and move the ball in ways that others couldn’t manage. While street football would help strengthen the youngster, it was through playing on beaches and in futsal games that Ronaldinho’s incredible control would be honed. Often playing as a striker, he would take as many touches as possible – given free licence by his coaches and friends to play without fear and with complete freedom. Perhaps this is why football was always such a joy to Ronaldinho. From an early age, it was symbolic of fun. It reminded Ronaldinho of his brother – his idol – and gave him the chance to experience something that has, since his very first kick, brought the biggest smile to his face. His smile is, of course, one of football’s most enduring images. With Roberto now plying his trade abroad after injuries brought about a premature end to his time at Grêmio, Ronaldinho was now well on his way to becoming a legend and emulating his brother by also joining the club’s academy. He hit the local headlines at the age of 13 when he scored all 23 goals in a 23-0 victory for Grêmio’s youth team. Having joined their academy at the age of seven, Ronaldinho would spend his hours training with the club, playing as much futsal as he could, then heading down to the beach to join in with organised games played by bigger, older and more powerful players. It didn’t faze him. Even on sand he would ride challenges, nutmeg his opponents and strike the ball with the confidence that would later define his career in Spain. By 1997, Ronaldinho would be making headlines around Brazil as the brightest prospect in the land. 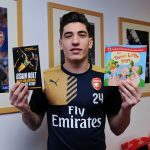 His audacious pace and trickery would by now be seen across the nation as he toured with the Brazil under-17 squad and Grêmio’s youth team. It was with Brazil’s under-17 team that the world would get tis first glimpse of the young star. In a squad boasting the likes of Geovanni, Matuzalém and Jorginho, Ronaldinho was the star turn as his customary tricks and skill bamboozled his opponents. In a tournament that also saw Seydou Keita, Luciano Galletti, Sebastian Deisler, Iker Casillas, Xavi and Gabriel Milito make their name, Brazil bulldozed their way to glory on the back of Geovanni and Ronaldinho’s excellence in attack. With his star rising, Grêmio manager Edinho was unable to ignore his talented prospect any longer and awarded him a senior debut in a Copa Libertadores match in 1998. With sporadic starts and a number of appearances off the bench, it would take until 1999 before the attacking midfielder would finally be able to show his worth in the blue of Grêmio. After registering 23 goals in 48 games in his first full season of senior football, Ronaldinho became the most coveted star in Brazil alongside his friend from the under-17 squad, Geovanni. 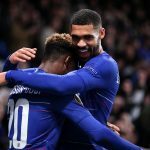 Boasting incredible vision, some of the best set-pieces in Brazil at the time and a hunger to learn and improve, it would be no surprise that big clubs in Europe soon took notice. After three years in Grêmio’s first time, the time would come for Ronaldinho to test his might in Europe. While Arsenal and Manchester United tried in vain to sign the forward, Ronaldinho would take the advice of his brother and find a club where he would feature regularly and become accustomed to European football. That club would be Paris Saint-Germain. As Ronaldinho headed to France, Geovanni made a £15 million move to Barcelona. The bright lights of Catalonia would quickly fade for one Brazilian but would shine brightly through eternity for another. Ronaldinho’s £5 million move to Paris didn’t convince everyone. Some believed he should have stepped up a level and moved to the juggernaut that was Arsène Wenger’s Arsenal. Others were unsure whether the weedy, frail-looking Ronaldinho could make the grade in Europe. Alongside Nicolas Anelka and Jay-Jay Okocha, however, he quickly formed one of the finest attacking tridents in Europe. Operating across the front line during his Parisian sojourn, Ronaldinho quickly learnt how to work well with his more illustrious team-mates. While his talent was never in question, his ability to craft that talent into palpable rewards was still up for debate. It was a mark of his unquestionable desire to learn and respect for the game of football itself that Ronaldinho overcame his initial struggles to become a regular in Paris. Spending much of his first season on the bench as he learnt the nuances of European football, perfecting his skills on the training pitch in the meantime, Ronaldinho eventually grew to become a key cog in Luis Fernández’s outfit. It was a testament to Ronaldinho’s ability that despite struggling to assert himself fully in France, he was able to register 17 goals and 14 assists in 55 league games. Ligue 1, however, wasn’t made for Ronaldinho in hindsight. While the players around him didn’t have the requisite quality to help bring the best out in their Brazilian team-mate, the aggressive nature of French football meant that Ronaldinho would all-too-often be man-handled out of games by his opponents. While his impact in Paris was littered with moments of genius, the decision to go to Paris itself proved a masterstroke. Ronaldinho grew used to the rigours of training in Europe, the professionalism of the game, and the quality of opponent he would need to overcome. Indeed, Ronaldinho himself has since stated that his time in Paris was absolutely necessary for him to succeed in Barcelona. By 2003, with Geovanni having been offloaded by Barcelona after failing to adapt to the pressure-cooker of the Camp Nou, Ronaldinho was ready for a new challenge. His greatest years would await. Having promised David Beckham to the Culés, Joan Laporta eventually had to settle for the signing of Ronaldinho for £25 million in July 2003. It would prove to be the greatest second choice transfer in Barcelona history. To understand the impact Ronaldinho had in Barcelona, it’s worth looking at what the club won in the five years previous to his transfer and the five years after. Between 1998/99 and 2002/03, the Catalans lifted a solitary Liga title. Between 2003/04 and 2007/08, however, they would lift to LaLiga titles, two Supercopas and the Champions League. It would be a great disservice to those around Ronaldinho to state that success was achieved solely due to the Brazilian, but his influence at Barcelona is undoubted. While many credit Pep Guardiola with having sewn the seeds of dominance at Barcelona – and Johan Cruyff going further back – the modern era of greatness for the club started when Ronaldinho walked through the Camp Nou doors. The Brazilian would eventually end his Barcelona years with 94 goals in 207 games off the left flank and 69 assists. The figures are outstanding but tell only half the story. The best players are defined by their ability to stand up in the most crucial of moments. It’s in these moments, where the margin between victory and loss is at its finest and the stakes are at their greatest, that legends are born. 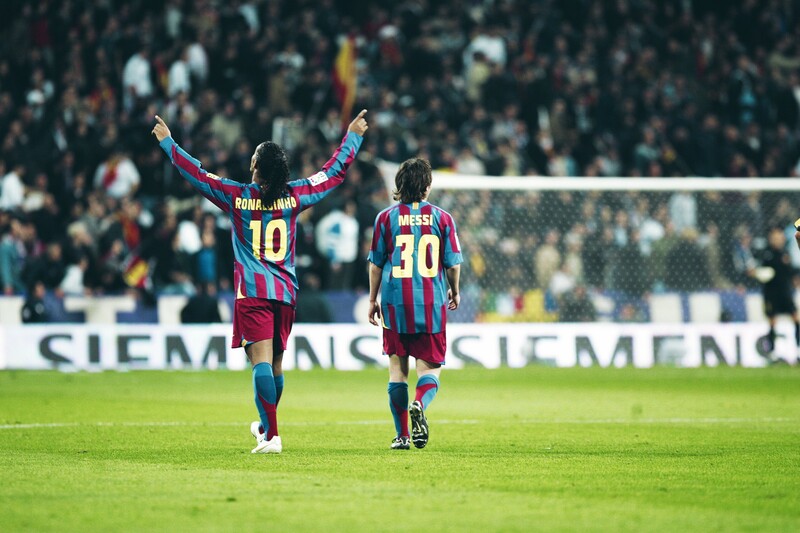 It was these moments that defined Ronaldinho’s Barcelona years. Whether it was a pass or a goal, his ability to open up play in the tightest moments was inspirational. Even in the most despairing times, Ronaldinho at his peak would single-handedly offer Barcelona hope. Who can forget his stunning effort against Chelsea at Stamford Bridge when, with seemingly no back-lift, he bent the ball around Petr Čech with the outside of his boot from 20 yards out? Chelsea may have progressed, but it was Ronaldinho offering hope. It’s that hope that so often morphed into joy. Whether it was a bicycle kick against Villarreal or his first goal for the club – against Sevilla – where he beat two players before thundering a shot in off the crossbar, Ronaldinho would bring joy, and trophies, to the Culés. He would also inspire his team-mates with his moments of magic. With Ronaldinho in your side, anything was possible. The season in which he dominated El Clásico, 2005/06, was his absolute zenith in the sport. Scoring 26 goals and assisting a further 23 in 45 games placed him amongst football’s greatest. 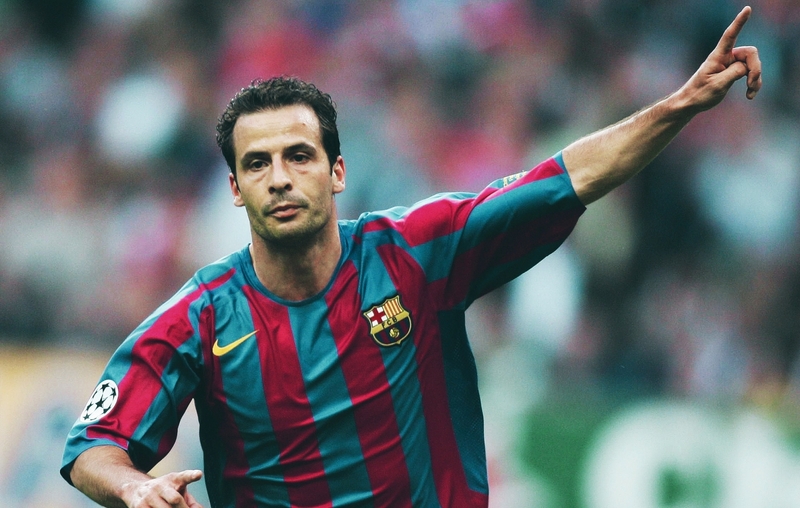 He helped Barcelona with both the league title and the Champions League, assisting Ludovic Giuly’s match-winning goal in the final against Arsenal. Already a double World Player of the Year winner, with a Ballon d’Or amongst his collection too, Ronaldinho had few peaks to scale. Perhaps that’s why his form dipped and his motivated diminished after that season of the most consistent brilliance. Still only 26, and now represented by his brother, Ronaldinho would struggle to take Barcelona to the next level of dominance. For some, greatness is only achieved after a prolonged stint at the top. That was never the case for Ronaldinho, however. Success was in enjoying the moment; in bringing smiles to the people. He had provided for his family, brought his friends along for the ride in Europe, and conquered heights that must have seemed impossible during his early years in Porto Alegre’s favelas. Despite his diminishing motivation to keep working, Ronaldinho would still register 24 goals and 14 assists in 49 games during the 2006/07 campaign as Barcelona lost the title on the final day courtesy of their inferior head-to-head record against Real Madrid. With injuries beginning to slow the Brazilian’s electric acceleration, his final year in Spain ended with a whimper. Lionel Messi was by now the star turn in a Barcelona outfit struggling to stay motivated under the leadership of Frank Rijkaard and in need of a fresh approach. Pep Guardiola would eventually provide that fresh approach but not before he had offloaded Ronaldinho to Milan. While many questioned Guardiola’s decision at the time, in hindsight it was plainly obvious that Ronaldinho was never going to be suited to Guardiola’s high-pressing, high-intensity game. His move to Milan saw the passing of a man who stands alongside Maradona, Cruyff and Messi as the greatest import in Barcelona history. His inspirational leadership in attack was highlighted by his ability to never shy away from the ball. He wanted it at all times and was steadfast in his belief that personal glory was never greater than that of the team and the fans. That’s why he valued an assist as much as he did a goal. In a legacy that is still felt today at the club, he mentored a young Messi, fuelling him with the self-belief needed to become Barcelona’s attacking fulcrum. Ronaldinho’s advice belied his own actions at the time but gave rise to Messi’s utter dominance of European football over the next eight years. Above all else, Ronaldinho’s time at Barcelona will be remembered with a smile. The smile he put on our faces as fans of his and the smile that seemed permanently etched onto his face as he danced his way into legend. With hearts broken and eyes sore in Barcelona, Ronaldinho made the move across the Mediterranean to AC Milan. Joining a squad boasting the likes of Andrea Pirlo, Kaká, Pato, Clarence Seedorf, Alessandro Nesta and Pippo Inzaghi, much was expected in the coming season as the Brazilian lined up for the Rossoneri. For many, despite Ronaldinho’s increased weight and injury problems, the £22 million fee represented good value for a player still only 28 and as such at the peak of his powers. With manager Carlo Ancelotti still at the helm and compatriot Kaká to play with, Ronaldinho made a positive start to life in Milan, seemingly intent to prove his doubters wrong and recover his form from 2005/06. Sadly, however, injuries would curtail his season and fitness would be hard to recover. Alongside his image as the party boy of the Milan squad, Ronaldinho’s inability to play a full 90 minutes saw him benched towards the end of the season as he registered just 10 goals in 38 appearances. Ronaldinho was facing an uphill battle to restore a reputation that was burgeoning for his off-field antics, with his ability on the pitch in decline. Unsurprisingly, there were still dazzling moments; his undoubted ability shining through on occasion to remind the world that form really is temporary. His two goals against Juventus in January 2010 were as a direct result of Ronaldinho moving from behind the striker to his favoured left flank. Given the freedom to come deeper to collect the ball and hold his width, the Brazilian enjoyed some of his best football during the middle parts of the 2009/10 campaign. A hat-trick followed his demolition of Juventus, and his form continued into the latter stages of the Champions League as he netted against Manchester United. The former World Player of the Year was slowly coming into form on the eve of the World Cup. A fierce patriot, it was a tournament Ronaldinho was desperate to head to. Finishing as Milan’s joint top-scorer as the Rossoneri finished a disappointing third in the league was tempered by the fact that his individual excellence had seen him register the highest number of assists for the Lombardy giants. His personal form, however, would not be enough to win a place in Dunga’s 2010 World Cup squad. While many lamented his exclusion as the death of Jogo Bonito – Ronaldinho’s omittance coincided with that of Pato – Dunga was steadfast in his belief that the Seleção side needed more energy and discipline, and less flair. Brazil were eliminated in the quarter-finals. After an indifferent start to the 2010/11 season, with Ronaldinho’s motivation to continue playing European football and his ego bruised, the Brazilian decided that his time in Milan was up. He had thrilled a generation of fans and left an indelible mark on the continental game. Despite his ups and downs, he departed Milan a hero, respected and loved by almost all those who witnessed him play. The twilight years of Ronaldinho’s career acutely summarised his entire career as he moved from Brazil to Mexico and back again, before a final hurrah in Indian futsal. Moments of unbridled panache were tempered by fitness problems, a lack of form and a questionable desire to succeed. While that may have been infuriating for so many of his coaches, for us, the fans, it’s what made him so special. He didn’t play the game for a catalogue of honours; he played football because it made him happy. The rest was merely a bonus. It’s that child-like innocence that made Ronaldinho so easy to love. From his early success in the 1999 Copa América as a 19-year-old and his conquering of the world in 2002, to the defining highs and sudden lows of his time at Barcelona, Porto Alegre’s most famous son made a name for himself as the undisputed king of tricks, flicks and most things good. His years at Barcelona will live on through YouTube clips and memories, and in time the lows will almost certainly be forgotten. While Ronaldinho could indeed have won more as a footballer, he will end his career at the top with three domestic league titles, a Champions League winner’s medal, the World Cup in 2002, the 1999 Copa América, and a list of individual honours far too long to reel off here. Just like Steven Gerrard did at Liverpool, like Arrigo Sacchi did at Milan and like Ariel Ortega did at River Plate, Ronaldinho’s talent deserved more than it probably ended with. But that will never matter to him, nor should it those that will make a judgment on his greatness. It’s hard to measure greatness in the form of silverware as that’s so often decided by those around you as much as anything else. Joy, however, is much easier to measure. It’s black and white; you either bring people joy or you don’t. Ronaldinho did, to millions of fans around the world. He transcended rivalry and achieved the happiness he set out for when he first laced a pair of boots up. He may not have realised it at the time, but the happiness he experienced came from himself; he was the joy.